Canada Post Corporation management is moving forward with its project of eliminating door-to-door postal service across Canada and Quebec. If it’s completed, it will deprive millions of people of a valued service and thousands of postal workers of their jobs. While this move is very unpopular, in most places not a lot has been done to turn widespread pro-door-to-door sentiment into active opposition. 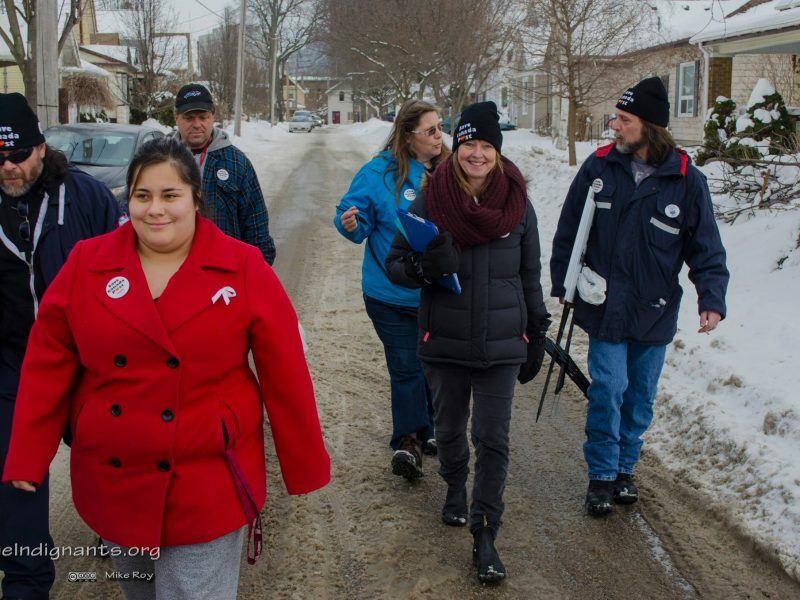 London, Ontario is one city where efforts to build an active campaign around defence of door-to-door have been more successful. We are republishing this article on the campaign in London to give readers a sense of some of the community mobilization tactics being used there. Such campaigns are important not only because they have more potential when it comes to defending public services but also because they can show in practice that there’s an alternative to just waiting for the next election. To quote from an article we published earlier this year, “It is through engaging with social movements that people develop new political skills and confidence and are exposed to new political perspectives about how other struggles and how society works.” With the federal election coming up later this year, it’s important to bear that in mind. If there’s one thing that activists often lack, it is opportunities to reflect about what they’re trying to do, and how it might be done differently and better. Often overworked and pressured to focus on pragmatic and tactical questions under urgent timelines, it can be difficult to give political and strategic reflection the attention it deserves. 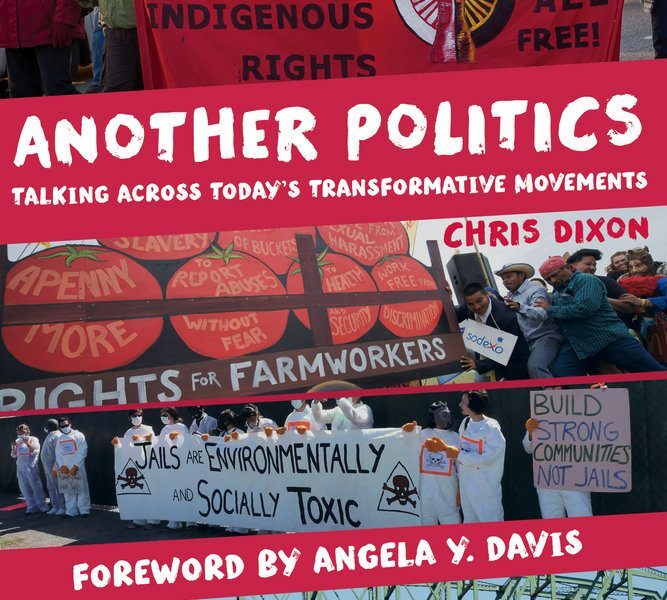 Just in the past couple of years, however, a number of widely discussed and important books have been published, inviting serious thinking and sometimes rethinking about what left activists are up to when they organize for social change. The recent article by David Camfield and Salmaan Khan highlights the increasing urgency to rethink the state of the labour movement. Six years after the financial crisis, organized labour is still on the defensive. Yet as the authors point out “the weakness or absence of workers’ organization reveals a movement in need of reinvention.” But we also need to think about how we rebuild a militant labour movement at the point of organizing, among the rank-and-file, and not simply look at theory and strategies. Activists and organizers need to think about reinventing the labour movement almost one worker at a time. The workers’ movement in Canada and Quebec is in a state of disarray, unable to deal with ongoing attacks on the diverse working class. Whether unionized, non-unionized, temporary, racialized, women or indigenous workers, the weakness or absence of workers’ organization reveals a movement in need of reinvention. What follows is an introductory piece meant to open discussion on the state of the workers’ movement today. We plan to publish responses and other articles that add to the discussion. We invite readers to respond directly to this opening article with reference to some of the key questions and concerns it raises (or others that you think it ignores). Responses do not have to be long (between 1000 and 2000 words) and can be sent to website[at]newsocialist.org Shorter comments posted below the article on the site are also welcome, as always. As election day draws nearer, the race for Toronto’s Mayoral seat has narrowed down to three out of the initial 65 registered candidates. Benefiting from selective corporate media exposure, John Tory, Olivia Chow and Rob Ford have managed to build themselves campaigns that regurgitate many of the same vague promises: less traffic; greater accountability; transit relief; tackling youth unemployment; supporting businesses; and of course, talking taxes. The obsession with tax rates has become so normalized that even the “progressive” alternative has found it a useful mantra as all three candidates clamor for votes. Across Canada, movement organizations are preparing for the People’s Social Forum, coming up in August. There’s a buzz of excitement and anticipation in the air as committees elect delegates, and strategies are debated. When hundreds of activists gather in Ottawa in a few months, we will be drawing from a rich, long-simmering cauldron of theoretical discussion and insight issuing from astute on-the-ground observations. 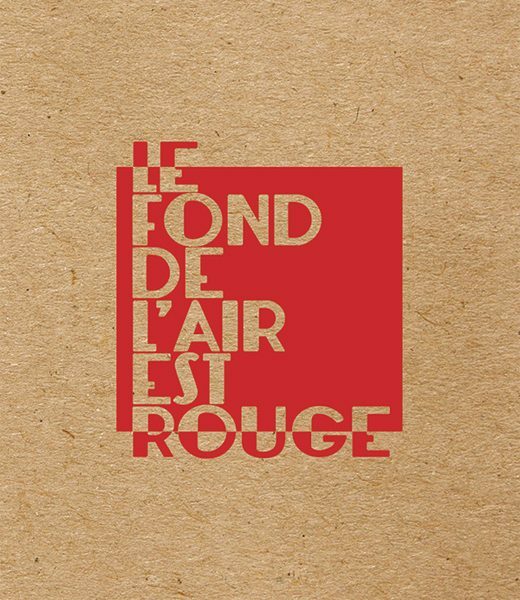 Montreal activist and artist Stefan Christoff’s zine Le fond de l’air est rouge [The essence of the air is red], a collection of articles about the Québec “Red Square” mass movement of 2012, has recently been published by Howl! Arts Collective. New Socialist Webzine interviewed Stefan about the movement, its effects and its lessons. We present the interview along with a series of political art works in the online exhibit by the École de la Montagne Rouge. Q1: The 2012 student movement in Québec grew into a broader popular movement of a kind that hasn’t happened in Canada or Québec for decades. What role did radical left students of different kinds play in building the movement among university and CEGEP students? Certainly the Québec student strike occurred outside of the world of official politics, far from a stage-managed process, the radical energy on the streets carried forward a combative approach that stood in direct confrontation to the structures of economic and political power in Québec society. This is the slightly edited text of a presentation to CEP BC Provincial Council in Vancouver on April 27, 2013. The inspiring student movement is not the only organizing in Quebec that people outside Quebec need to know about, so we are publishing a number of articles about movement organizing in Quebec today. Following on our article on Profs Against the Fee Hike, we’re glad to publish this look at Montreal-Nord Republik — NSW. Review of Greg Sharzer, No Local: Why Small-Scale Alternatives Won’t Change the World (Zero Books, 2012). The Charest government has turned to repression to try to break the largest and longest student strike in Quebec history. Students had already endured heavy-handed policing, including hundreds of arrests and brutal attacks by riot cops on campuses and in the streets. The new strikebreaking legislation, Bill 78, is a brutal clampdown on the right to organize collectively and on freedom of expression. The protest plans for any demonstrations of more than 50 people must be cleared with the police in advance of any gathering, or the action will be considered illegal. Individual students, staff or faculty members who advocate the ongoing strike action risk harsh penalties, and student unions or university employees unions who organize or support ongoing strike activity will face heavy fines. This article is the first of a three-part series exploring key questions and debates that have emerged in relation to the Syrian revolution that has been ongoing since the beginning of the uprising in March 2011. Part 2 is here and part 3 here. Review of Eric Mann, Playbook for Progressives: 16 Qualities of the Successful Organizer (Boston: Beacon Press, 2011). The last of a three part series exploring Canada’s role in the war in Afghanistan and wider Global War on Terror after ten years. Part one can be read here, and part two here. As always, we welcome any feedback you may have on this important and timely discussion. What happened to the antiwar movement? Where do we go from here? On 20 September 2001, George Bush announced his intention to launch a Global War on Terror. In the weeks before the invasion of Afghanistan, antiwar activists throughout the world poured into the streets to protest the impending global war. Again, when the Bush administration began to beat the war drums before invading Iraq, even greater numbers hit the streets. It is rare in these times that we can celebrate a victory such as Alvaro Orozco’s return home to his Toronto community on June 1, after several weeks in immigration detention. Review of Augusta Dwyer, Broke But Unbroken: Grassroots Social Movements and Their Radical Solutions to Poverty (Winnipeg: Fernwood, 2011). The Greater Toronto Workers’ Assembly (GTWA) is a promising new initiative aiming to build a united, non-sectarian, and militant anti-capitalist movement in the city among a diversity of rank-and-file labour unionists, grassroots community organizers, and youth alike. Since the GTWA’s inception in early 2010, mass public transit has emerged as one of the organization’s key political battlegrounds. In this in-depth roundtable discussion, members of the GTWA’s transit committee Jordy Cummings, Lisa Leinveer, Leo Panitch, Kamilla Pietrzyk, and Herman Rosenfeld explore both the opportunities and obstacles facing the campaign Towards a Free and Accessible TTC. An all-party report calling on the Harper government to pursue a vigorous poverty reduction strategy in Canada was recently introduced in the House of Commons. According to the Ottawa Citizen, “the report calls for pumping more money into affordable housing across the country, as well as increased supports to parents, seniors, people with disabilities and jobless and older workers.” The product of three years of cross-country consultations by a Commons committee, its recommendations were endorsed by all the opposition parties, but also—with some qualifications—by Conservatives. The fall of 2010 saw millions of private and public sector workers and students in France take to the streets, walk out on strike and blockade roads and oil refineries. The Rebirth of Social Democracy in the U.S.